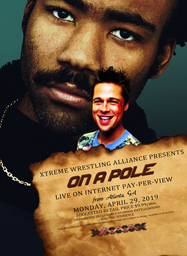 The FINAL of the XWA Television Championship tournament. Who walks out of the XWA BattleZone with the Top Prize of Massacre? XWA Massacre: DGX vs. Garland Lynx- ONE ON ONE! XWA Massacre: Storey vs. Drake vs. Hearthstone- NO.1 CONTENDER'S MATCH! XWA Massacre MAIN EVENT: LJ Summers vs. Lx-Tim- TV TITLE! XWA Massacre: Adam Fenric vs. Austin Carter- ONE ON ONE!